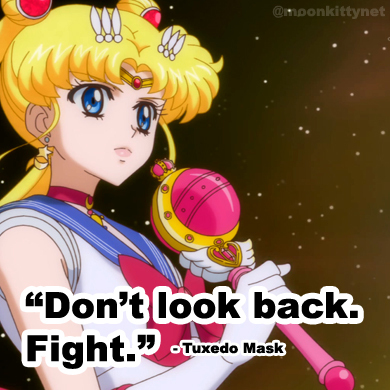 After the big revelation that Minako Aino was Sailor V who was Sailor Venus who was the Moon Princess in the previous episode, Usagi, Luna, Ami and Rei all reflect on the events back in the karaoke room. Makoto is also there and laments on how she wish she could have been there to see the big reveal. 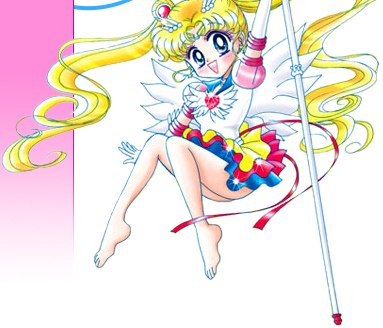 Luna is preocuppied though as it seems that even though Minako Aino has revealed herself to them she still hasn't joined them as a team and instead has headed off with Artemis to do duties that are required of her "as the Moon Princess". 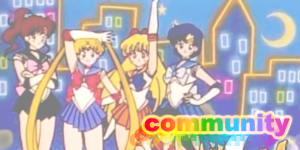 She did however thank all the Sailor Soldiers for their efforts so far and asks that they continue to fight evil from this point onwards as well. Meanwhile Nephrite has met with Queen Beryl over the demise of Zoicite. He tells her that he is confused over Zoicite's final word, "Endymion". hearing this, Queen Beryl becomes furious and immediately activates her powers using the crystal next to her and hypnotises Nephrite into forgetting all about "Endymion". After sending Nephrite away to continue his mission, Beryl holds up a white rose and tells herself that she has no choice but to awaken the fourth General. She blows onto the rose with an evil, purple, magical breath which begins to turn the white rose black. Back in Tokyo, Mamoru is also reeling from the events of Act 12. After the big revelation he doesn't know what to do. Suddenly he gets an ergent phone call asking for his help. He tells the person on the other end that he'll be there right away. At Crown Karaoke, Usagi arrives and finds the entire front desk in chaos. Suddenly Motoki pops up and tells her how his pet turtle, Kamekichi had managed to escape and now he doesn't know where it is! Mamoru then arrives and tells Motoki that he had heard of a turtle that was found that might be his. The three of them immediately go to the location which turns out to be a creepy old place. Usagi and Motoki immediately begin to freak out when they see a mysterious person appear at the house's front windows but Mamoru simply tells them to look again and they see that it's just a kind young man holding Kamekichi! Motoki takes the turtle home while Mamoru and Usagi stay behind to talk to the man who introduces himself as Shin. Shin tells them that he thinks that he's met them both before but he's not sure because he can't remember anything about his past. Mamoru hears this and feels for him. 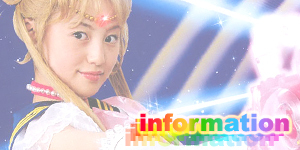 Usagi asks him what he can remember and he says that he has always had a fondness for flowers and nature. They both say goodbye and leave. Usagi feels compelled to help him remember and Mamoru wants to help too so they both run around and purchase objects to trigger Shin's memory. Unfortunately, Usagi doesn't have much money so all she can afford is a white rose and several postcards. Usagi and Mamoru then decide to take a trip to the beach on Mamoru's bike. Once there they collect a jar full of sand, seawater and shells for Shin. Usagi thanks Mamoru by buying him a pork bun while they talk. Mamoru tells her not to be disappointed if Shin doesn't remember anything. In fact he may not want to remember his past at all. Mamoru then tells Usagi that it'll be late by the time they get back to Shin's place so they should meet there tomorrow to give him the presents. That night when Shin's all alone, something happens to him. At that same moment, a school girl is attacked by a tall dark stranger. A piece of black hair attaches itself to her neck and absorbs into her skin. The next day, Mamoru arrives at Shin's place early and enters to find him feeling very scared. He tells Mamoru that he has a feeling that he's done something bad. Mamoru tells him that it was probably a dream or something. Suddenly, dark black rose petals appear out of nowhere and begin to swirl around the room as Shin transforms into a the fourth General, Kunzite! Kunzite throws Mamoru into the wall and disapears. Mamoru manages to stagger out of the house and runs into Usagi. She asks him what's wrong and tells her that Shin remembered everything when he saw their presents and that he decided to go out. Usagi is very happy to hear this though Mamoru is obviously shaken. Across town, the school girl who was attacked before has begun to transform into Youma within a crowded performance hall. All of the audience sees this and runs screaming out of the building. Luckily Luna was nearby who calls Usagi to come and check it out. 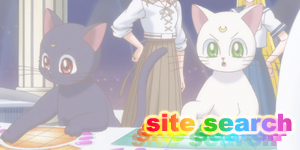 Usagi arrives and transforms into Sailor Moon just as the girl transforms into an evil cat Youma! Luna tells her that the girl isn't being controlled be the Youma, she has become one! 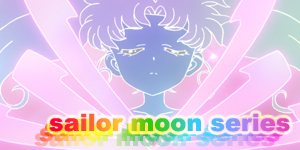 Sailor Moon then uses Moon Healing Escalation to turn the Youma back into the girl. Kunzite then appears and introduces himself to Sailor Moon. He draws his sword and attacks her with a powerful energy blast. He then holds several strands of hair in his hand and blows on it. 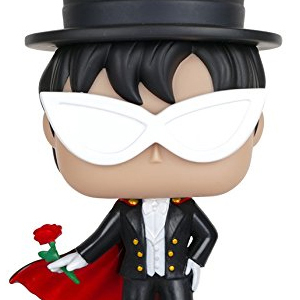 Tuxedo Mask appears and tries to stop him but he's too late! 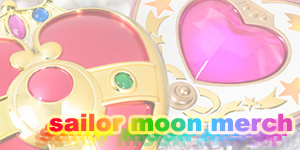 The hair has materialised on Sailor Moon's neck. 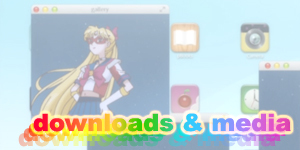 Sailor Moon screams and passes out! Kunzite exits, announcing that he was just introducing himself today and leaves Tuxedo Mask and Luna to deal with Sailor Moon who begins to awaken and stands up with and expressionless look on her face. 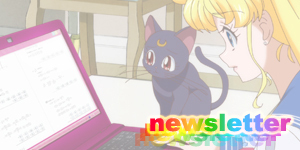 Luna screams that Sailor Moon will become a Youma! Kunzite and his human form, Shin make their first appearances in this episode! While Kunzite has appeared in every incarnation of Sailor Moon, this is the first time his human form has been seen. In the anime Tuxedo Mask's red rose turning black would symbolise him turning evil. Here however, Shin's white rose symbolises him turning evil.